Adang Sea Tour is a well-known certified travel agency based in Pak Bara Pier, Thailand. 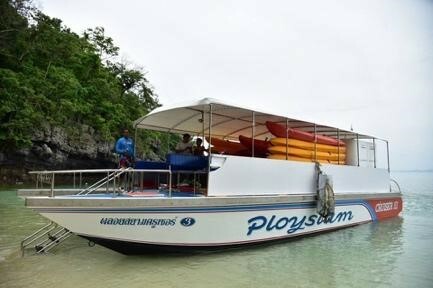 It offers ferry or speedboat services from Satun to Koh Lipe for locals and travelers from all around the world. In addition, Adang Sea Tour also provides local tour packages upon request by travelers. Travel packages offered by Adang Sea Tour include trips to Koh Lipe Island are available through a few simple steps through Easybook. This certified travel agency is popular among locals and travellers from all around the world as it strives to provide excellent services and making sure travelers who engage with their services are satisfied and happy. All of the Adang Sea Tour’s ferries are modern speedboats with comfortable chairs and life jackets. Travellers can lean back and enjoy the charming sea view while the speedboat heads to a preferred destination. 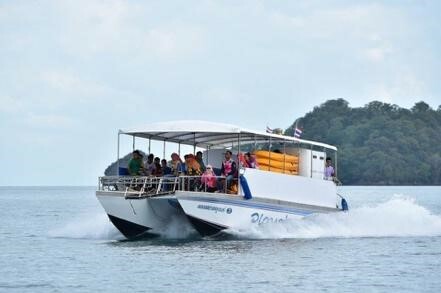 There are three speedboats or ferry departures available daily between Satun and Koh Lipe Island. Travelers must wait for speedboats pick up at Pak Bara Pier in order to travel to Koh Lipe Island. 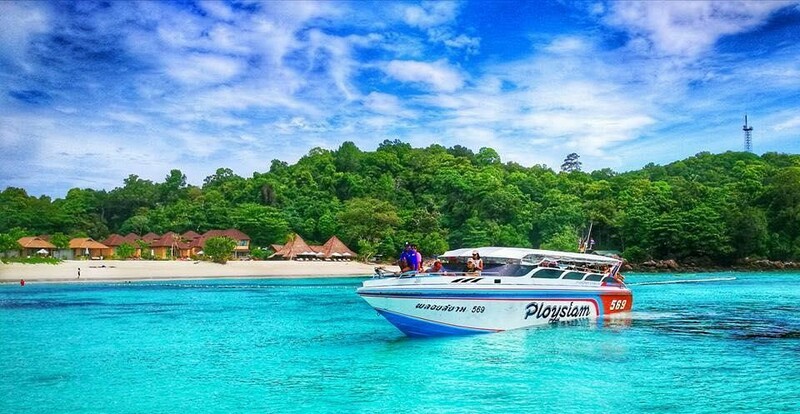 Travelers who take the speedboat from Pak Bara Pier will disembark at the Sunrise Beach, Koh Lipe Island. In addition, Adang Sea Tour also offers return routes from Koh Lipe Island back to Pak Bara Pier daily. The speedboat travel journey between Satun and Koh Lipe is about 2 hours at an affordable ferry ticket price for each person. Koh Lipe island is one of the famous islands in Thailand and each year, many international travellers visit the island just for the white sandy beaches and gorgeous blue sea. Koh Lipe is also a divers’ paradise as it is a fantastic spot to go for a dive. It is located in the middle of the National Marine Park of Tarutao and there are plenty of dive sites suitable for divers to explore and see wildlife as well as colorful corals in the sea. In addition, Sunrise Beach in Koh Lipe is ranked as one of the best venues to see the sunrise in Thailand. Travellers who have visited Sunrise Beach claimed that they never regret waking up early in the morning and wait at the Sunrise beach to watch the sun peek above the ocean waters. The experience was said to be amazing and unforgettable. 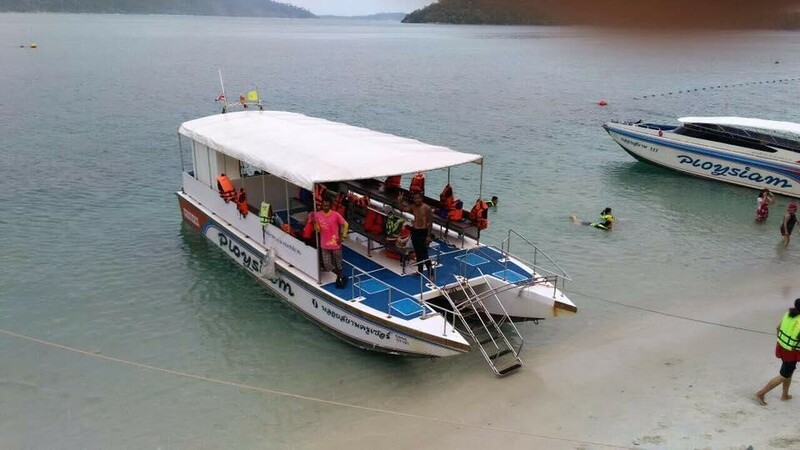 Getting Adang Sea Tour’s ferry ticket from Pak Bara Pier to Koh Lipe is very convenient nowadays through online booking at Easybook. It is time to say goodbye to the traditional and tedious ferry ticket purchasing experience at the agency counter and travelers are welcomed to use our services. Easybook offers fast and secure online booking platform for all travelers around the world. Key in the pick-up ferry terminal and drop-off ferry terminal of which you are coming from and heading to, together with the date of travel. Our website will show you the available ferry schedules along with the prices to choose from. Once you have selected your preferred ferry schedule with a confirmed price, users will be prompted to fill in the passenger details accordingly. Right after the success of the online payment, the Adang Sea Tour ferry ticket summary will be sent to the email inbox.